The Sapphic Reading Group is hosting a spring LesFic Mini Festival at Malvern Books on Sunday, April 28th from 1-4:00 pm. This event features eight terrific authors: Ali Vali, Barbara Ann Wright, Del Robertson, Erin O’Reilly, Lacey Schmidt, Laydin Michaels, MJ Williamz, and JM Dragon. With readings, panel discussion, and book signing. Free admission, refreshments, and book drawing. JM Dragon, originally from the UK, is now a New Zealand citizen living in the beautiful Canterbury countryside. She loves to garden and has over 140 chickens of various breeds to tend along with two alpacas, Cherokee and Comanche. She also has three adorable cats, her babies: Katie, Mr. Ginge, and Maxwell, aka Smarty Pants (because he is). When not taking care of the property, she has business interests in Affinity eBook Press, and of course, a love of writing. 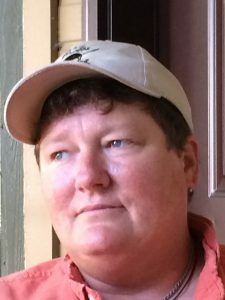 Published by Affinity Rainbow Publications, JM Dragon’s books include, At Last, Breaking the Silence, the Promise, the best-selling Fix-it Girl, the Destiny series, and the 2015 GCLS winner, The One, plus many more. Her various collaborations with Erin O’Reilly include the popular When Hell Meets Heaven Series. Contact her at jm1dragon@yahoo.com. Laydin is a native Houstonian with deep Louisiana roots. She is one of 16 children which affects her desire to kill off characters. Laydin finds joy and happiness in the loving arms of her wife, MJ. Her life is further enriched by her son, CJ, and 4 fur children. Laydin is a voracious reader. Her love of the written word started early in life. In 2015, Laydin’s first novel, Forsaken, was published by Bold Strokes Books. Her other novels include: Bitter Roots, Buried Heart, and Captured Soul. Contact her at mlaydin @yahoo.com. Over a decade ago, Erin moved to the Texas Hill Country where she resides on Lake LBJ. Her hobbies include rock collecting, bird watching, and gardening. Erin also enjoys reading, cooking, and crafts. 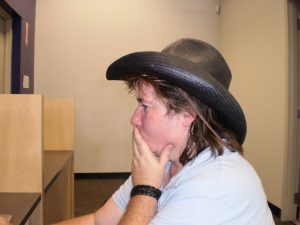 She is an active member of the Austin Sapphic Readers’ Group. Erin has a dual literary role as both publisher and author. 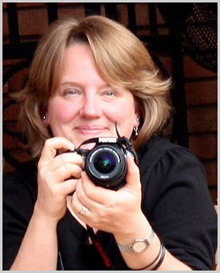 She is the CEO of Affinity Rainbow Publications which she co-founded with JM Dragon. 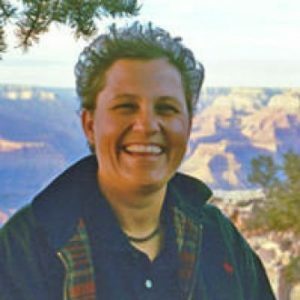 In addition, Erin has penned over fifteen novels and co-authored the popular When Hell Meets Heaven series with JM Dragon. Erin is best known for her gentle love stories sprinkled with intrigue and surprises. Her latest novel is Addicted To You. 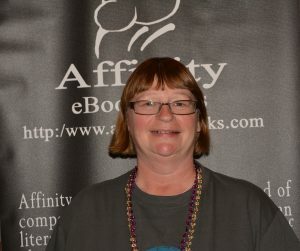 For more information and a current list of her work, visit www.affinityebooks.com. Del Robertson has always been an avid reader, particularly, fantasy, history, the unusual, the offbeat, and the simply odd. She enjoys mixing all these elements into the stories she writes. Thanks to the women in charge at Affinity Rainbow Publications, she’s found a place to tell her tales: From the swash-buckling pirate adventure in Taming the Wolff to the sword-wielding My Fair Maiden, to the real story of St. Nic in Thundersnow and Lightning. Being asked to contribute to The Lone Star Collection is a great honor and she’s proud to have Remember Me included in the anthology. Contact Del at delrobertson@ymail.com. By day, Dr. Lacey Schmidt is a “corporate” suit. She runs her own company, Minerva Work Solutions, and serves as the Executive Director for Faculty Development at the University of Houston. When she sheds her daytime persona, Lacey morphs into other roles: poet, artist, adventurer, and novelist. 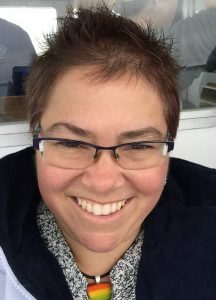 In the latter instance, she has published 3 lesfic romances with Affinity Rainbow Publications: A Walk Away, Catch to Release, and Playing With Matches. Lacey has also penned several short stories. Two romances, Love’s Luck and Peaches and Honey are in anthologies published by Affinity. Lacey’s latest short story is a sci-fi adventure entitled A Lone Star. It’s part of The Lone Star Collection, an anthology which benefits lesfic literary events. Lacey is married and lives in Houston. She and Laura have several furry children: Oberon, the tabby terrorist, and his sidekick, Sabina, plus two couch loving canines, Misha and Nakita. Visit Lacey’s website at: http://laceyschmidt.blogspot.com. Ali is the author of 6 romantic thrillers in the popular Cain Casey series, and 2 books in her Balance of Forces series: Toujours Ici and Sera Toujours Ali has also penned numerous stand alone novels. Her most recent publication is Answering the Call which is a sequel to Calling the Dead. Her next novel (available in May, 2019) is Stormy Seas, a sequel to Blue Skies. Originally from Cuba, Ali has retained much of her family’s culture and traditions which influence her stories. She now lives outside New Orleans with her partner of over 32 years. When she isn’t writing, Ali works in the non-profit sector. MJ Williamz was raised on California’s central coast which she left at age seventeen to pursue an education. She graduated from Chico State where she rediscovered her love for writing. It wasn’t until she moved to Portland, however, that her writing really took off with the publication of her first short story in 2003. MJ is the author of fourteen books, including three Goldie Award winners. She has also published over 30 short stories, mostly erotica, with a few romances and horrors thrown in for good measure. MJ’s latest novel is Model Behavior. Another novel, Scene of the Crime, will be available this summer. MJ’s short story in The Lone Star Collection is Meeting Miranda. She lives in Houston with her wife, fellow author Laydin Michaels, and their fur babies. Contact MJ at mjwilliamz@aol.com, or look for her on Facebook at MJ Williamz, or on Twitter at @mj_williamz. 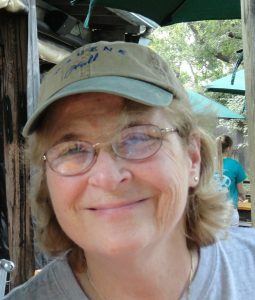 Barbara Ann Wright writes fantasy and science fiction novels and short stories when not ranting on her blog. Of her fantasy series, The Pyramid Waltz was one of Tor.com’s Reviewer’s Choice books of 2012, was a Foreword Review Book of the Year Award Finalist and a Goldie finalist, and won the 2013 Rainbow Award for Best Lesbian Fantasy; and A Kingdom Lost was a Goldie finalist and won the 2014 Rainbow Award for Best Lesbian Fantasy Romance. 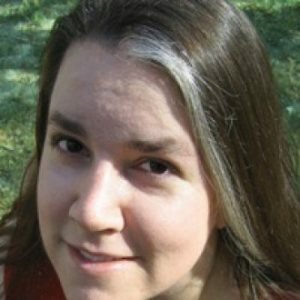 She has also written Thrall: Beyond Gold and Glory, a Viking-themed fantasy, and Paladins of the Storm Lord, a science fantasy, all from Bold Strokes Books. Her latest novel is Inheritors of Chaos. Barbara would love to hear from you at barbaraannwright.com. Parking: Please only use the store parking lot for attending events at Malvern Books and stores within the Park Plaza Shopping Center. Unfortunately, if you leave your car before or after an event (if you park out front with the intention of getting a meal across the road before attending an event here, for instance), there’s a chance your car could be towed or booted, and we’d hate for that to happen! If parking is unavailable in the store parking lot, please use residential streets. On Sundays you can park at Cabo Bob’s, as they’re closed all day. Accessibility: Malvern Books has a wheelchair ramp and is wheelchair accessible. There are two accessible parking spots by the ramp and a single occupancy ADA standard restroom. If you have other accessibility needs or need other accommodations, please call Malvern Books at 512-322-2097.